Malibu is mostly known for its gorgeous beaches along the Pacific Coast Highway, but we happen to love the area for its sprawling landscape and private vineyards nestled in the Santa Monica mountain range. 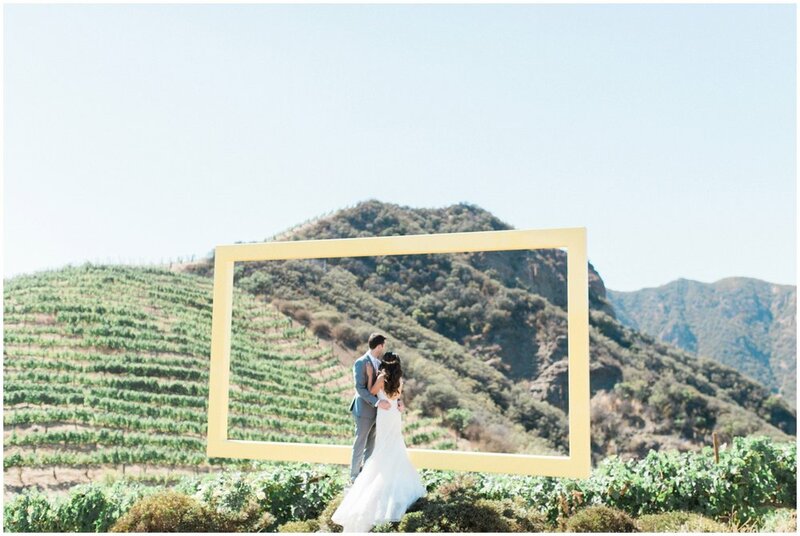 Considering it is an extremely popular destination for weddings, we compiled our Top 3 Mountain and Vineyard Venues located in sunny Malibu, all with breathtaking views! 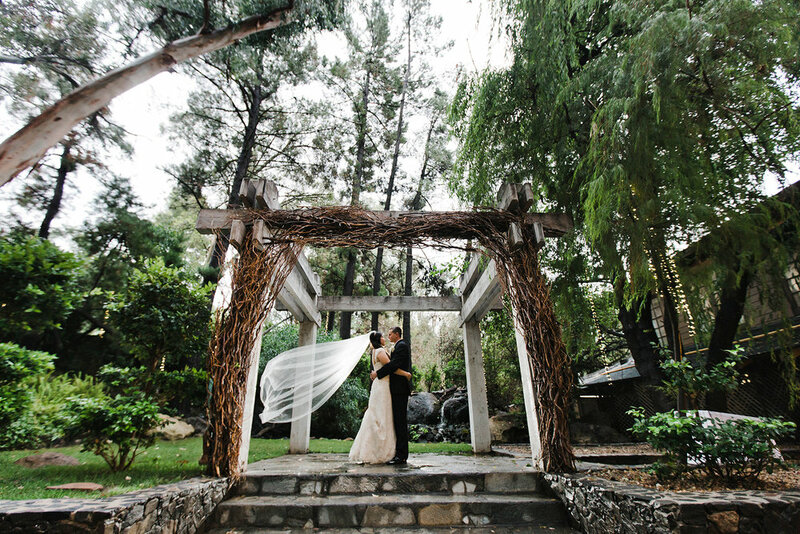 This picture-perfect wedding venue offers couples a choice of five different locations for a ceremony and reception and is surrounded by natural beauty and charm. 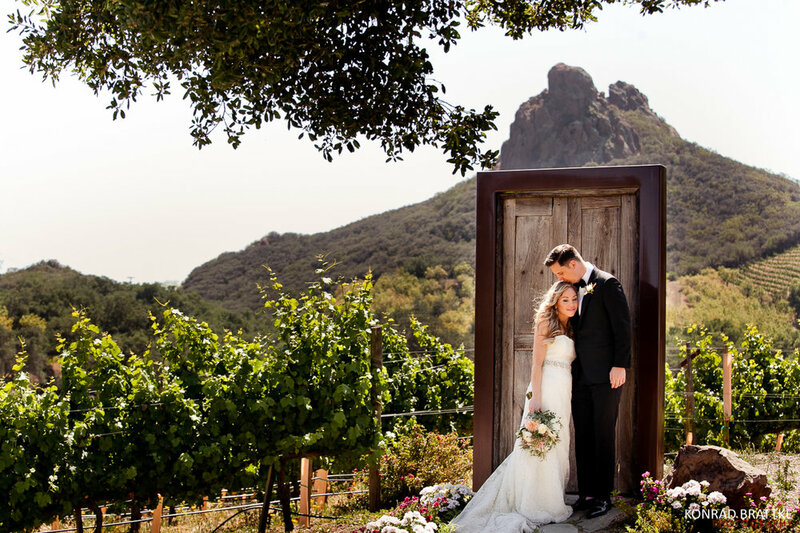 Whether you prefer a celebration under treetops, or atop a mountain with panoramic views, the possibilities are endless at Saddlerock Ranch! This private estate is not your typical wedding venue in the sense that it doesn't provide a turnkey operation, but it's perfect for anyone looking to customize their entire wedding to their liking! 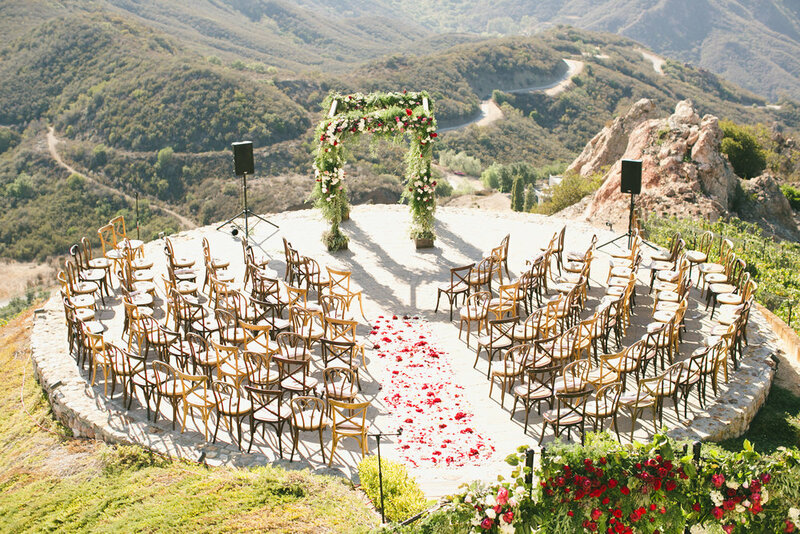 Most known for it's heli-pad ceremony site, this romantic Tuscan-style mansion boasts 360 degree views of mountaintops, hillsides and the pacific ocean. 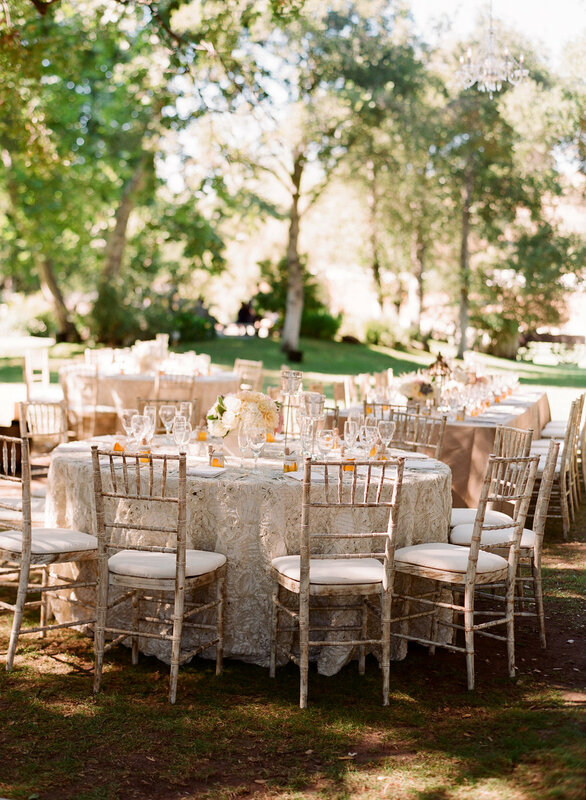 Calamigos Ranch never disappoints, as couples can choose from four different venues on the property to ensure their wedding perfectly suits their needs, from party size, indoor/outdoor preferences, and more! Both romantic and rustic, there are luxury accommodations onsite to make it the ultimate wedding destination for you and guests. 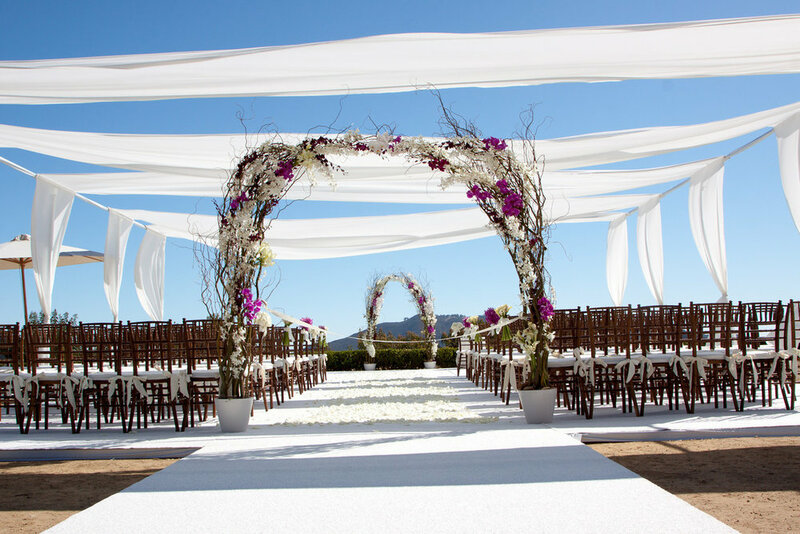 For more wedding tips and venue recommendations, visit our Wedding Tips blog here.